What is a Veranda Conservatory? 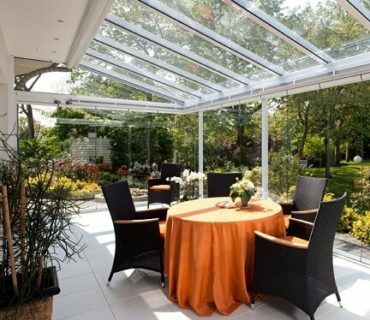 What is a Veranda Conservatory? You have probably heard of popular conservatory styles such as Lean-to & Victorian, but do you know what a Veranda conservatory is? If not, read on. Here is a quick buyers guide to the main features of these conservatories. What exactly is a Veranda? Basically, it is just an open space with a roof, much like a solid awning. It can have the sides closed in, but generally the sides are all open spaces. It mainly serves as an overhead projection from the weather. One of the open sided basic styles is very often used as a car port. Adding one to a conservatory gives you more flexibility in how you can use the room itself. Most Veranda conservatories are created by extending the roofline past the front edge of the room to create an overhanging canopy. The sides and front are typically open, but in some cases, side panels could be fitted to increase the protection from the elements. Side panels can be movable of fixed. This feature of an extended roofline to create the Veranda works best with square or rectangular conservatories. You might have some difficulty fitting one to a Victorian conservatory for example. 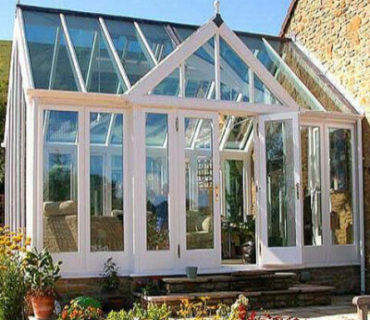 However, Lean-to, Georgian, Edwardian or Gable & Pavilion conservatories are all good candidates. As much as it will be nice to enjoy this “protected” open space, sometimes you may want a little shade. With a clear overhead roof, it could get hot in direct sunlight. Fitting overhead roller shades is a good solution. 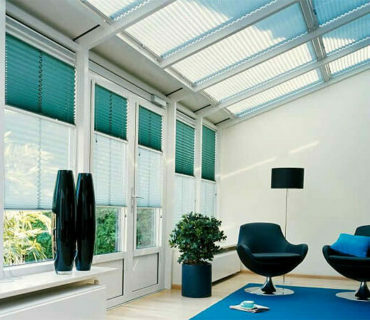 They can easily be closed (fully or partly) to provide shading as required. Some form of wooden decking can provide a really nice touch underfoot. With the majority of verandas being clear or translucent, the most cost effective solution will be to use high quality, multi-chambered polycarbonate panels. Unlike the enclosed conservatory itself, with an open veranda you clearly don’t have to be concerned about energy efficiency. However, if you have a glass roof on the main section of the conservatory, you may choose to use the same material for the veranda section. This is a variable element, and the need to attain planning permission will vary case by case. 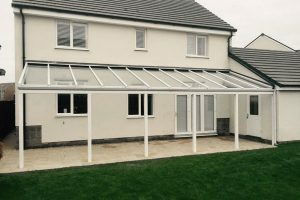 It’s true that a conservatory can be built without planning permission, but that is provided the project falls within the remit of “permitted development” planning regulations. If you are thinking of having raised decking in the veranda section, this could also impact on your need to attain prior planning permission. Your installer should be familiar with all the planning guides, but we recommend that you get in touch with your local authority to check for yourself.